There was a time when factory ‘custom’ bikes meant a choice of over-priced, impractical Harleys, unconvincing Japanese copies or… not a lot else. But not any more. Today there is not just a wider, more versatile and more credible choice of ‘customs’ available than ever, they are also being offered by a broader variety of manufacturers as well, including Triumph, Indian and even Ducati. And all of that makes our buying decisions now more difficult than ever. What do the different types of custom or cruiser mean? What do you get for your money? And which sort is right for you? To help you decide, we’ve put together this brief guide to five of the best, spread across different types of custom from different manufacturers. The first thing to understand is that ‘custom’ is, in itself, something of a misnomer. Strictly speaking, ‘custom’ refers to the type of one-off, hand-built, ‘customised’ machines which first sprang to prominence in the US in the 1960s, particularly in the wake of the movie Easy Rider in 1969. Today, however, along with the term ‘cruiser’, it’s also regularly applied to mass-produced machines, or ‘factory customs’, which follow the same basic style of long, kicked out forks and a laid back riding position, where looks, comfort and (usually) a low revving V-twin engine take priority over performance, gadgets and equipment. Of course, there’s also much more to it than that, with plenty of sub-groups within the whole cruiser genre. ‘Baggers’, or machines, which are part-tourers, complete with panniers or ‘bags’ and touring screens, and part chopped-down/styled-up customs, have become hugely popular in recent years for their blend of practicality and style. Indeed, in the US, ‘baggers’ are currently THE best-selling type of bike of all, headed by Harley-Davidson’s hugely successful Street Glide. Then there are drag strip-inspired ‘hot rods’, defined by their low stance, fat back tyres and performance engines and exemplified best by Ducati’s potent Diavel and Harley’s Breakout. But nor are they soley big, extreme machines for experienced riders only. 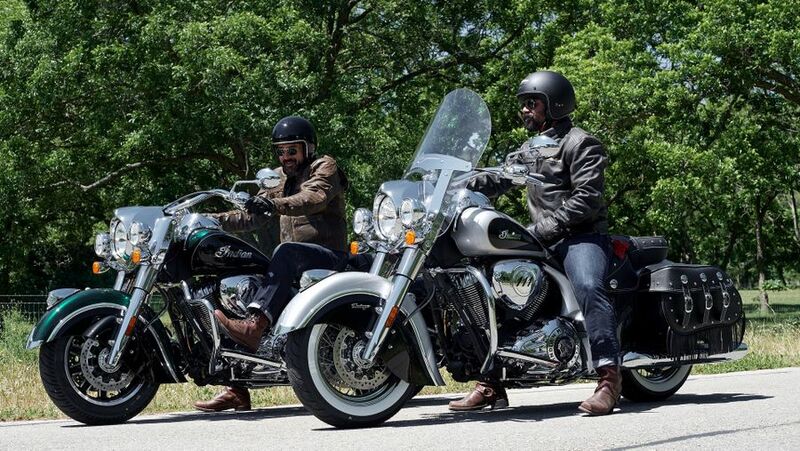 Light, middleweight offerings such as Honda’s 500cc Rebel, Kawasaki’s 650c Vulcan and even Harley’s own 883cc Sportster have traditionally appealed to novice riders thanks to their easy ergonomics, friendly manners, classic style and decent value. 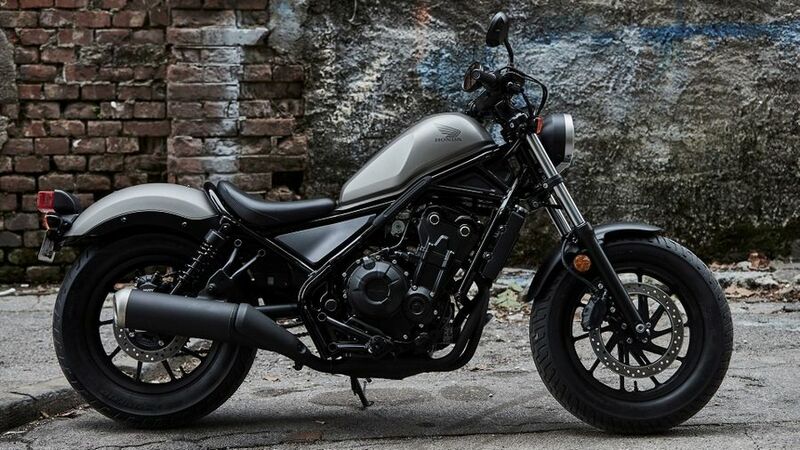 Latest addition to Honda’s family of impressive, novice-friendly, A2-licence-compliant, 500cc twins (which already includes the CB500F roadster, CBR500R faired sportster and CB500X adventure bike) is the cruiser-styled Rebel. Featuring a revised frame with an ultra-low seat height, an easy handling upright riding position and slightly detuned but hugely flexible 45bhp motor, the Rebel is about as easy and unthreatening to ride as motorcycles get, yet still great fun, very affordable (starting at just over £5K new) and with a modicum of cruiser style. Entries into motorcycling don’t get much easier, affordable, friendly and fun. The only thing it lacks is the cruiser credibility of something like Harley’s Sportster. Triumph’s track record in custom bikes hadn’t been that great, with previous offerings like the old Bonneville America and Speedmaster proving an unconvincing marriage of the British firm’s retro parallel twin in a US-style cruiser chassis. That all changed with the introduction of 2017’s brilliant Bonneville Bobber. 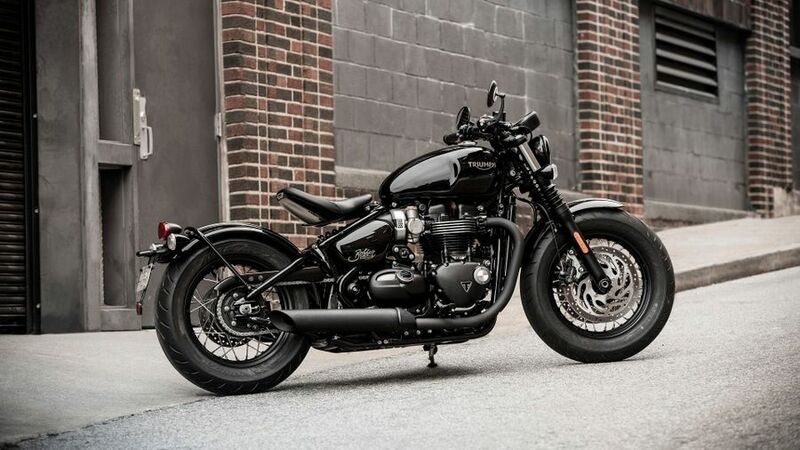 Based on the already excellent, all-new 1200cc Bonneville retro roadster twin, the Bobber adds a post WW2-style, ‘hardtail’-look monoshock rear end plus chopped down, or ‘bobbed’ styling cues including a single seat, ‘40s-style rear ‘fender’ and blacked-out detailing. The result not only looks a treat – a ‘proper’ ‘40s style ‘bobber’ that happens to be bang on trend – thanks to the 76bhp twin and Triumph’s typically ace handling, it goes well, too. With new prices starting at just over £10K all of that has added up to one of Triumph’s best-selling bikes ever. A custom that looks great, goes great and is versatile, too. 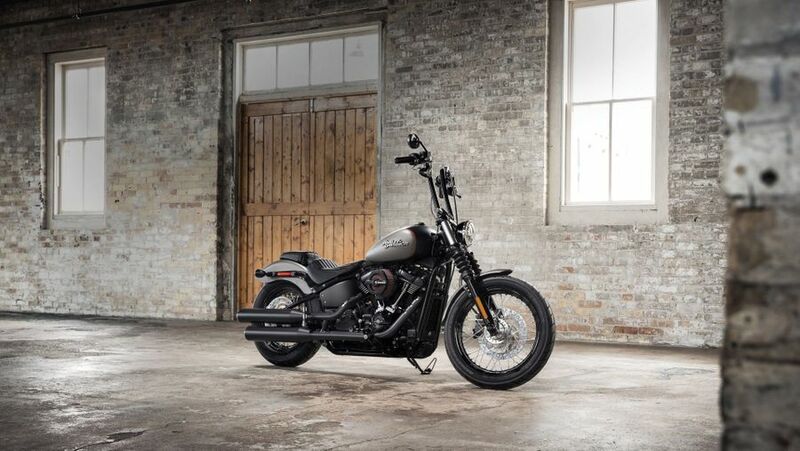 Originally introduced in 2006, the Street Bob is about as pure and classic as Harley ‘Big Twin’ customs get, comprising big V-twin engine, adequate (and originally Dyna twin shock) chassis, high-ish ‘ape hanger’ bars and single seat and mean ‘n’ moody, blacked-out ‘bobber’ styling. It’s the classic Harley chopper and, being so simple, it was also one of the most affordable and customizable, too. Subtly evolved since, for 2018 it’s received its biggest update so far as part of Harley’s complete revamp to its Softail cruiser family. In comes new, lighter, stronger, hidden rear shock ‘Softail’ chassis, the more potent, 80bhp ‘Milwaukee Eight’ engine and improved detailing and ergonomics. The result is classic, brilliant Harley custom that goes well, is less extreme than it looks, is decent value and is ripe for personalization. As their huge popularity in the US market proves, ‘baggers’ – cruisers with touring panniers or ‘bags’ and chopped down screens to blend touring comfort with custom style – make arguably the most practical and appealing customs of all. But while Harley’s class-leading Street Glide continues, with justification, to be the most popular of the type, we’re more tempted by upstart US rival Indian’s offering, the Springfield – particularly if you want to truly stand out from the crowd. Introduced in 2016 it basically combines the best bits of Indian’s existing Chief Vintage (Plexiglass screen) and Chieftain (hard panniers) around the Minnesota firm’s lusty, 1811cc ‘Thunderstroke’ V-twin and sumptuous chassis. Slightly bigger and pokier all round than the Harley, the Indian is also mouth-wateringly gorgeous and well appointed. 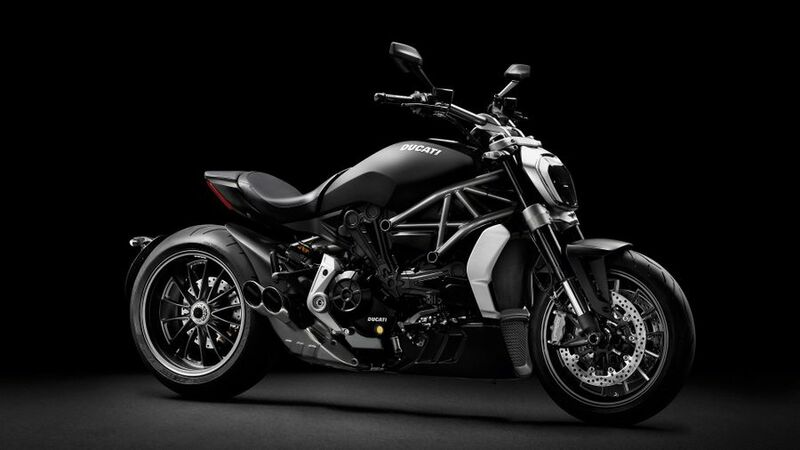 Ducati Diavel – the one that goes… and handles! When Italian superbike legends Ducati announced, in 2011, an all-new cruiser, which, it promised, would go and handle like a sportsbike, few were convinced – until we rode it. Simply, the Diavel is a phenomenon, truly delivering superbike performance and handling in an upright, laid back, hot rod platform that seems to defy physics. Based around the ‘Testastretta’ liquid-cooled V-twin from the Multistrada, but retuned to give an eye-popping 162bhp, the Diavel (Italian for ‘devil’) also bristles with electronics and switchable rider aids such as riding modes and traction control that make an average Harley look like its from the Dark Ages. 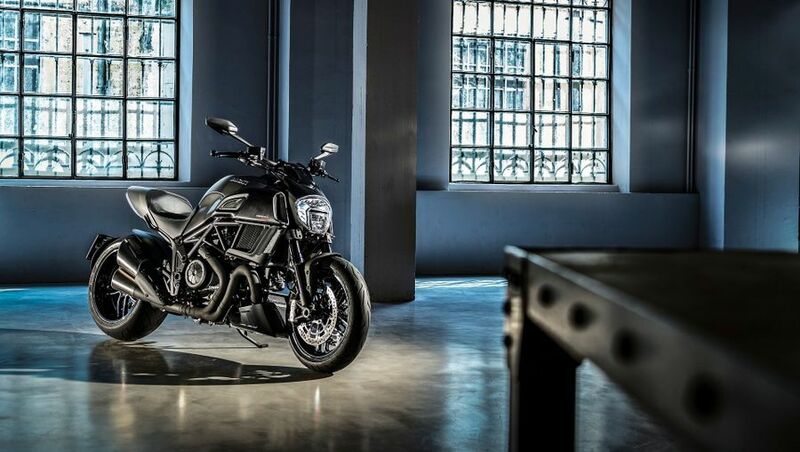 The Diavel’s lightweight chassis, meanwhile, despite its fat 240-section rear tyre, handles far better and intuitively than it has any right too and is complimented by big Brembo twin disc stoppers that could haul up an oil tanker. If you want a cruiser that’s lightning fast with the handling to match, this is the one.